Battle of Amphipolis (422 B.C.) - A pivitol battle fought during the Peloponnesian War. 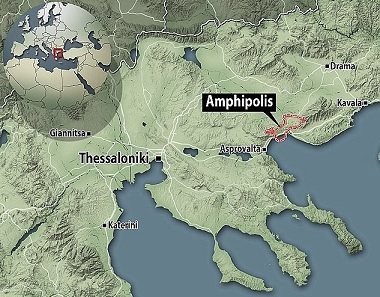 Amphipolis was a colony of Athens and an important ally in the war. Most of the timber for the city's triremes came from Thrace and were shipped through Amphipolis; a key reason Sparta wanted to capture it. After a two year on and off struggle, Sparta finally captured it. Besides being a key strategic victory for Sparta, the battle was important for another reason. The historian Thucydides was discharged from the Athenian military and devoted himself full-time to recording events.